President of India is the head of Indian parliamentary system of government. 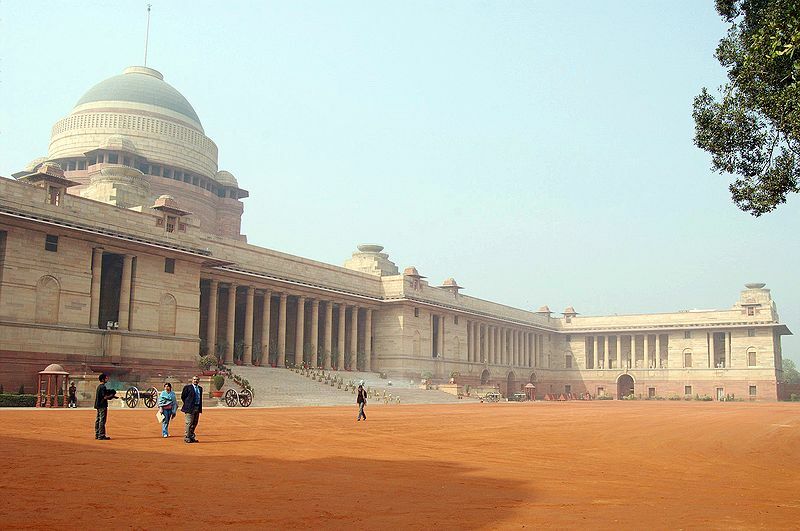 A person is eligible for the post of president only if a) He/she is a citizen of India b) His/her age is greater than 35 years c) He is eligible for election in a lok Sabha seat d) He/she must not hold any other governmental post during his presidency ( except the post of vice-president and governor ). Indian president is elected indirectly by the public of India through the members of the both houses of parliament and members of the state legislature. Each MP and MLA has a value of their vote which is calculated by the population of their state. The current President of India is Ramnath Kovind. He is the 14th president of India. He was born in Kanpur, Uttar Pradesh. He used to be a lawyer in Delhi High Court & Supreme Court and later joined politics. He served as president of BJP Dalit Morcha and was a member of Rajya Sabha. He was serving as Governor of Bihar up until he was elected as president of India. Indian president is elected for a term of five years. Though there is no limit for the number of times a person can became a president. President of India takes oath infront of the chief justice of India or the senior most judge of supreme court. President can give his resignation to the vice president of India. In the absence of president, vice president acts as the president of India. In the absence of both, chief justice of India acts as the president. On the ground of violation of the constitution, the president can be impeached. The impeachment procedure starts when two third majority of a parliament house passes the resolution. Then the other house of parliament investigates the matter. The president has the right to defend himself. If the two third majority of the other house also passes the resolution then the president stands impeached. President appoints the prime minister, CAG, attorney general. He/she is the commander in chief of Indian armed forces. He can pardon any crimes against a person. Budget is presented before Indian president. Has the power to proclaim national emergency, due to external aggression or internal rebellion. Learn about all the president of India who has served till now.